During her freshman year of college, Kati Holland went on hormonal birth control after hearing it could help clear up her acne. But that so-called solution backfired, big time. It’s basically mermaid toast in a jar—but with added benefits beyond just being ridiculously photogenic. In an effort to get her body back on track, Holland made appointments with Eastern doctors who introduced her to adaptogens. Slowly, she started feeling more balanced, and today she says her health issues are 99 percent improved. “It really sparked my interest in using adaptogens to heal skin—and then seeing what else they could be used for,” she says. 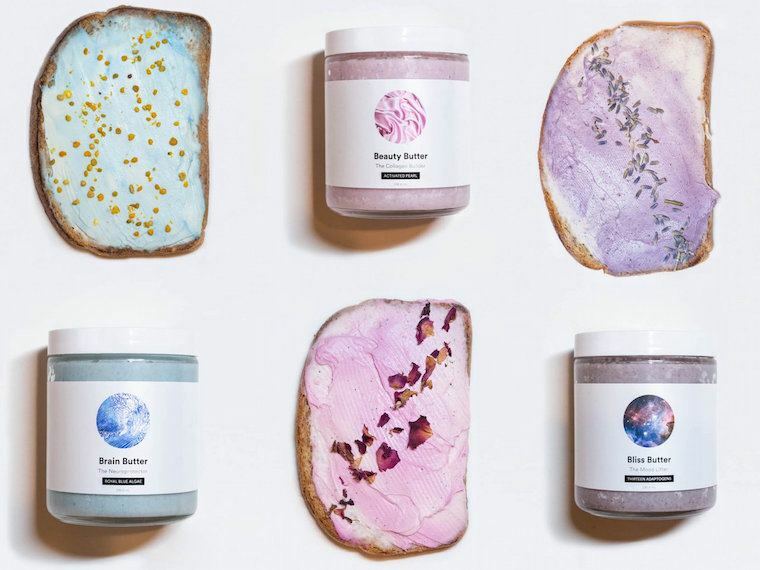 Fast forward a few years and Holland’s new brand of adaptogenic, pastel-hued coconut butters, Pearl Butter, is taking over Instagram. It’s basically mermaid toast in a jar—but with added benefits beyond just being ridiculously photogenic. “I’m not saying these butters are a magic fix for everyone, but they can be part of a natural solution,” she says. Here, Holland shares her personal journey—and explains why she’s promoting inside-out beauty with unicorn food. For Holland, Pearl Butter wasn’t just a casual hobby that ended up taking off—tons of research went into the product development, and she had to risk everything in pursuit of her vision. See, when she first started building the brand, Holland was living in San Francisco and working in marketing for startups. 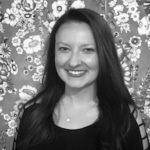 On nights and weekends, she spent her time experimenting with adaptogens in the kitchen and learning the science behind how they worked. Eventually, she reached a point where she could see it becoming a viable business. Holland launched Pearl Butter with three products, all made from ground coconut flesh and collagen-boosting activated pearl. These include Beauty, which gets its pink color from antioxidant-rich pitaya; Bliss, containing 13 mood-lifting adaptogens; and Brain, infused with nutrient-dense blue algae. The trio’s free of sugar and dairy, and comprised of organic, wildcrafted ingredients. When Pearl Butter launched in April, Holland thought the only interest would be from her mom. But the spreads’ dreamy aesthetic fit in perfectly with the rainbow food movement, which was beginning to peak. “I didn’t make these products to be part of the unicorn or mermaid trend, but the timing worked out in my favor,” she says. Each butter can be added to coffee, blended into a smoothie, slathered on toast…or just spooned straight from the jar (no judgement). And if you think her feed looks a little bit like that of superfood stylist extraordinaire Adeline Waugh, that’s because Waugh is helping Holland with her photography. “I just messaged her one day saying how obsessed I was with her feed and telling her what I was working on,” Holland says. She’s also been DMing with Madeleine Murphy of The End, home of the OG unicorn latte. Even though it’s only been two months, Holland is already thinking about what’s next for Pearl Butter. “I want to continue playing with new ingredients and also want to expand into different types of food,” she says. In the meantime, you can thank her for bringing beauty to your breakfast—and beyond. Here’s how to make the internet’s prettiest healthy smoothies while you wait for your toast to brown. And speaking of gorgeous Insta feeds, you won’t believe the magical creations on Hippie Lane.